Its been less than a year when Porsche launched a midlife update to its iconic 911 sports car. Having missed its original targeted launch date by more than six months, Porsche’s GT3 RS has finally uncovered at the 2015 Geneva motor show. Currently it is in the fifth generation and goes much faster on the street. 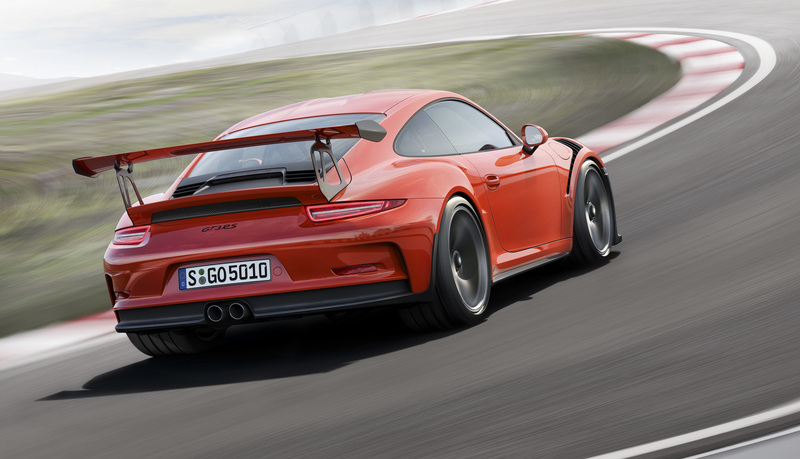 Porsche builds and sells the GT3 and GT3 RS to the public to comply with various racing regulations around the globe, many of which require a rear-wheel drive and naturally aspirated engines. 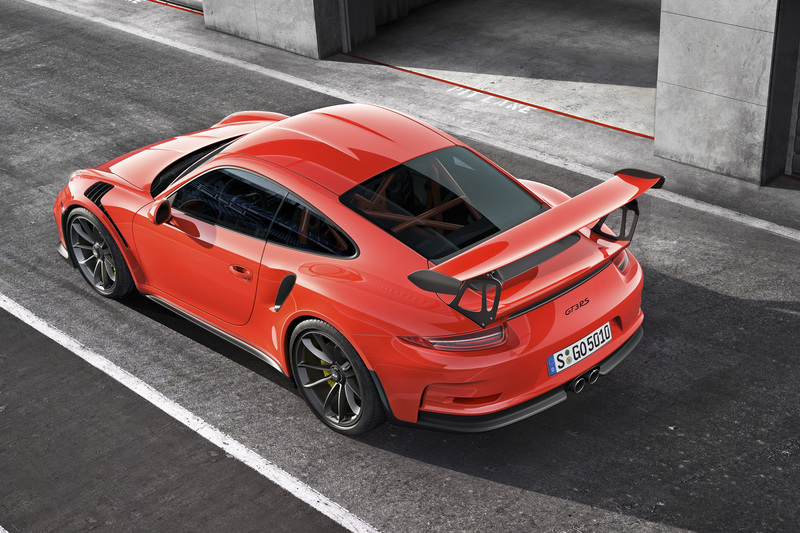 GT3 RS gets a wide, low and aggressive body kit with a huge rear wing is balanced in the front by a deep chin spoiler, and the front wheel arches have been punctuated with vents that help to increase downforce on the front axle. It includes a fully adjustable suspension, rear-wheel-steering, Porsche’s PASM adaptive suspension and torque vectoring. The major appearance attraction is the air-scoops on the front and rear wheel arches. The latter is said to boost downforce as well as aid airflow around the brakes. Inside, the car picks up the carbon fiber seats of the 918 Spyder and fitted as standard is Porsche’s Club Sport Package, which includes a roll cage, a six-point safety harness for the driver, a fire extinguisher and preparation for a battery master switch. At the heart it includes most powerful naturally aspirated engine in the 911 family. 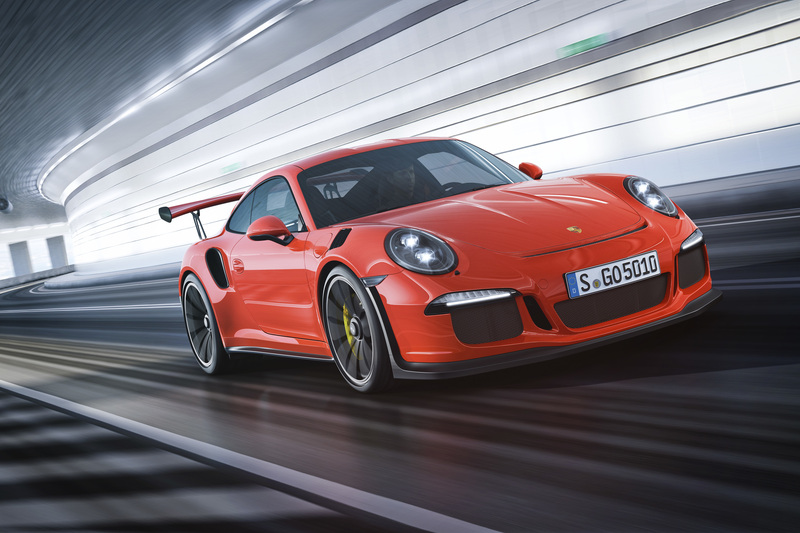 Based on the 3.8-litre GT3, the 4.0-litre RS model has premiered in Geneva this week, boasting 368kW and 480Nm for a lap time of 7 minutes 20 seconds on the northern loop of the Nurburgring, that is nine seconds faster than the Carrera GT. According to the company it can sprint 0-100km/h in just 3.3 seconds and they also claim that it can reach 200km/h in 10.9 seconds. Porsche’s PDK seven-speed dual-clutch transmission is standard, though its software has been reprogrammed. 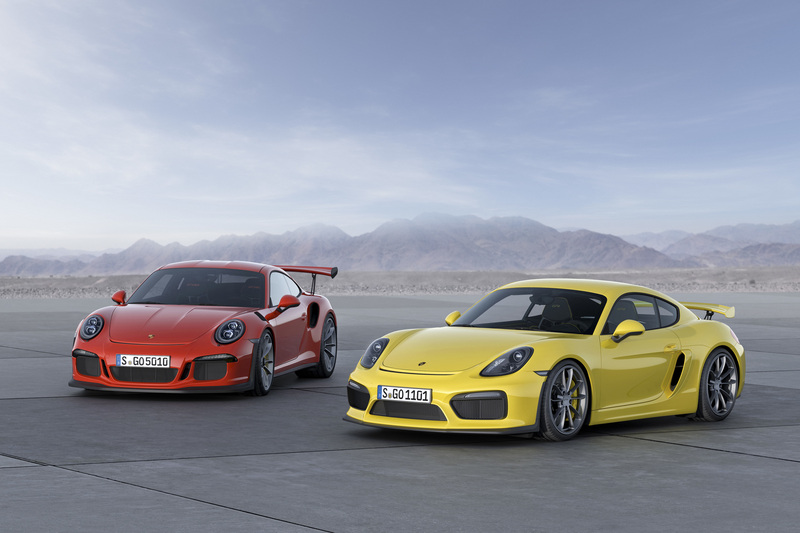 Thanks to modern engineering, new cars weighs 10kg less that standard GT3. Talk about Porsche currently GT3 RS’ engine is the largest and most powerful engine on any production.